Now This News is a new startup founded by Huffington Post co-founder Ken Lerer and former CEO Eric Hippeau and is a new social news video site. Now This News is all about making news more fun and interesting for the YouTube-watching crowd. 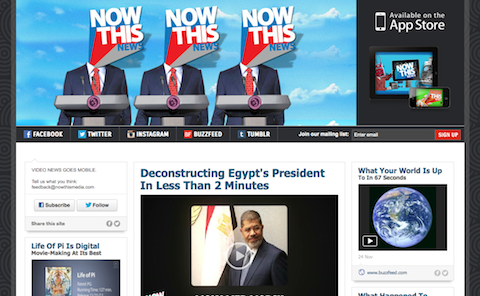 Content with Now This News is two-way – users can generate and submit their own videos along with contributing to stories and engaging in discussions through the Now This News commenting system.